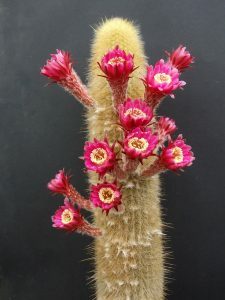 X Haagespostoa is a natural hybrid (nothogenus) between Haageocereus and Espostoa exclusively found in Peru. Backeberg took this taxon for a new genus, and described it as Neobinghamia. 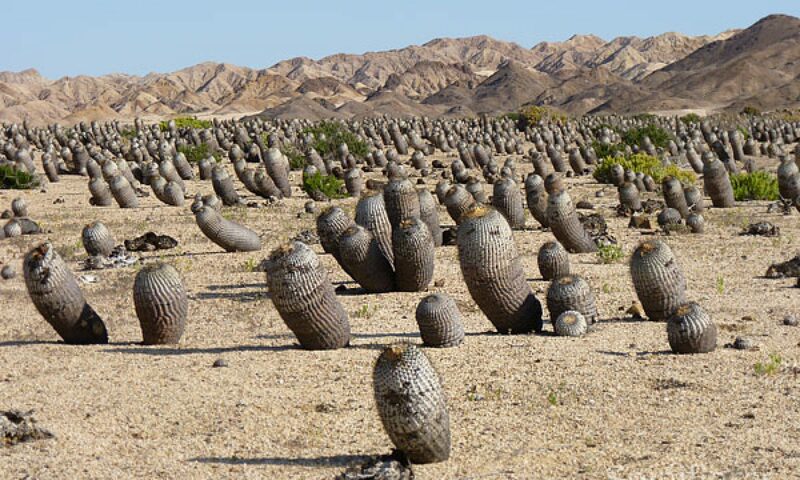 According to Ostolaza (Quepo 2009), five taxa are known, all situated west of the Andes. It seems that we must take more seriously the phenomenon of natural hybridization in plants in general and cacti in particular..
is found towards Yungaypampa and Huallanca (Ancash) while Espostoa ritteri lives near Bellavista (Cajamarca) and also in the department of Amazonas. Rowley (2004) found a solution by considering them as synonyms to x Haagespostoa albisetata. The genusx Haagespostoa grows endemically in Peru on mountainous slopes in rocky masses, in ravines (quebradas) and valleys, between 300 m and 1820 m in altitude. Populations are obviously rare and limited.